BigBen and Atari have released the launch trailer for RollerCoaster Tycoon Adventures which is being released in the UK on November 30, 2018 and will be available exclusively at Argos. 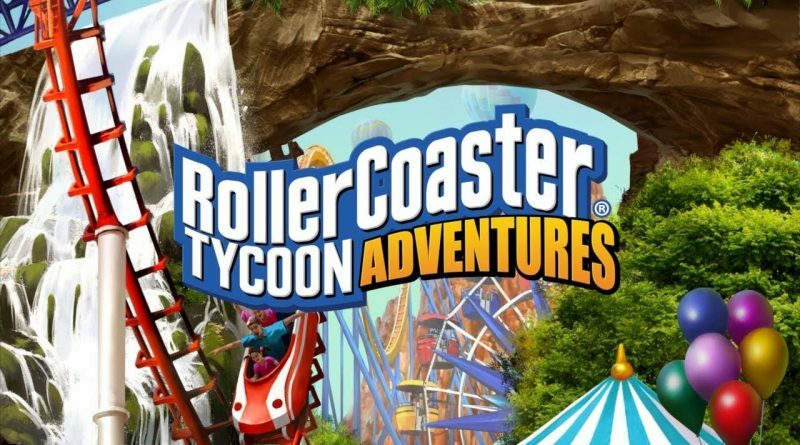 RollerCoaster Tycoon Adventures is the brand new opus from one of the most beloved franchises in the history of video games. Created by Chris Sawyer, and initially published for PC in 1999, RollerCoaster Tycoon quickly became a benchmark for players. This new episode makes use of the Nintendo Switch’s characteristics (portability, ease of use, touchscreen, etc.) to offer an experience never before seen in the world of RollerCoaster Tycoon. Create extravagant parks in three modes, each more fun than the last: Adventure, Scenario, and Sandbox. A huge first for the RollerCoaster Tycoon series: the new event system for Adventure mode makes each park one of a kind. Faced with certain events, you’ll have to make difficult decisions that will have an effect on your creation. Thanks to this innovative approach, each Adventure mode game provides a new, engaging story. Choose from 50 colours to personalise your carousels, rollercoasters, stores, and restaurants. Transform your park by adding paths, green spaces, and waterways. Choose one of the four regions (Mountains, Moon, Canyon, and Tropics) and build the most incredible park! Seven completely customisable types of rollercoasters to place in your park. Thanks to the simplified management system and tools designed for the console, RollerCoaster Tycoon Adventures is not only the most accessible episode of the franchise, but it’s also a game that’s perfectly adapted to the Nintendo Switch. From small, simple carousels to drop towers, choose from 120 stores, restaurants, and crazy attractions. Play however you like, with a single Joy-Con, both of them, or using tactile commands. RollerCoaster Tycoon Adventures displays in 1080p in television mode and 720p in portable mode.